This weekend most students travelled by bus to Poland. It was a long haul but as far as I know, all of us made it back safe and sound.... We visted several sites, most of which had something to do with the life of JPII. It was an incredible 3 days! 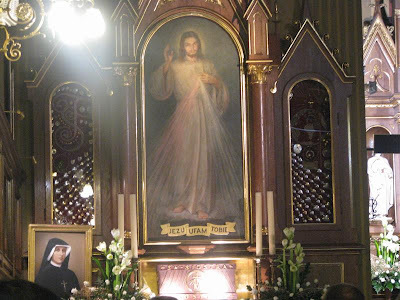 St. Faustina over 100 times. 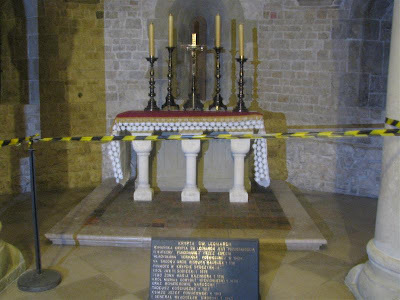 St. Faustina is buried right near there. This place is known as Auschwitz II or Brikanou. 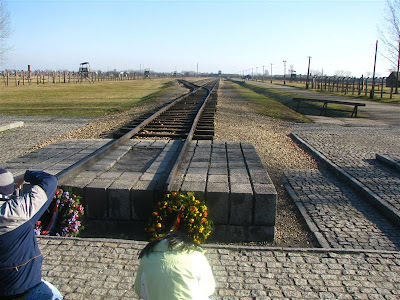 This was a much larger camp than the camp most commonly known as Auschwitz. Brikanou was almost solely an extermination camp. Those people arriving on trains would be told that this was merely a train stop on the way to Krakow. When arriving at night, however, they couldn't see that the train tracks ended here at the far end of the camp. 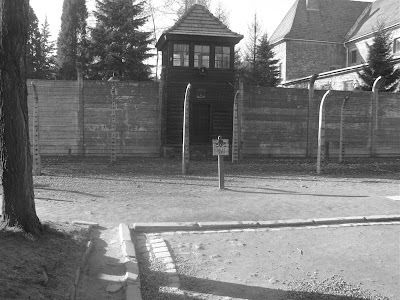 About 80% of those that arrived would be screened and then immediately sent to one of five gas chambers which were located both to the left and right of this location about 300 ft away. Much of the camp was demolished to hide evidence of the genocide. I don't think it hid anything. 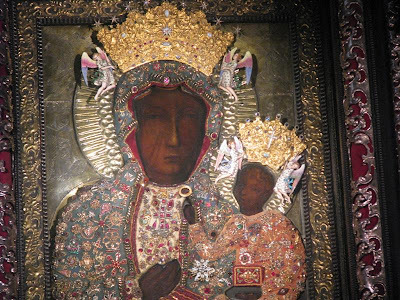 The Black Madonna-- Our Lady of Czestochowa. 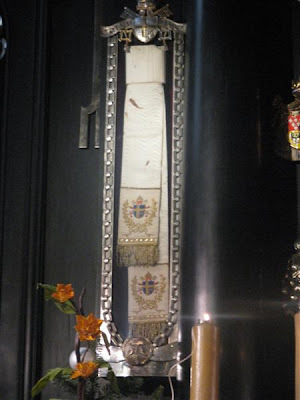 JPII's sash that he was wearing when he was shot. 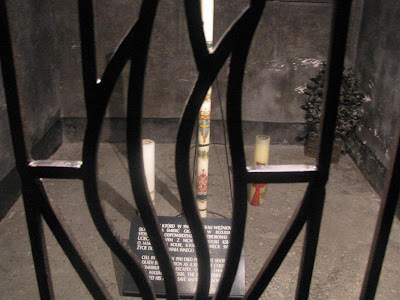 He gave it to the shrine of Czestochowa. The Church in the small town of Wadowice, where JPII was born and baptized. The altar in the crypt underneath the cathedral in Krakow. 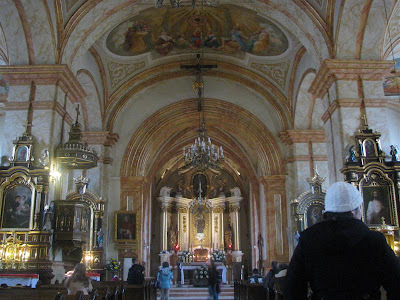 This is where JPII celebrated his first mass. By the way, John Sobieski, the Polish General who drove back the Turks from Vienna was buried right behind where I was standing when I took this picture. 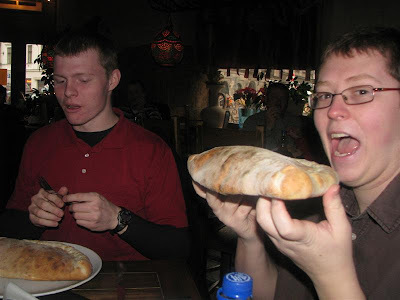 Jake and Mark about to begin a not-so-European-sized meal.